Vision IAS PT 365 International Relation 2019 Classroom Study Material for UPSC Civil Service Prelims Exam 2019, Download pdf now. 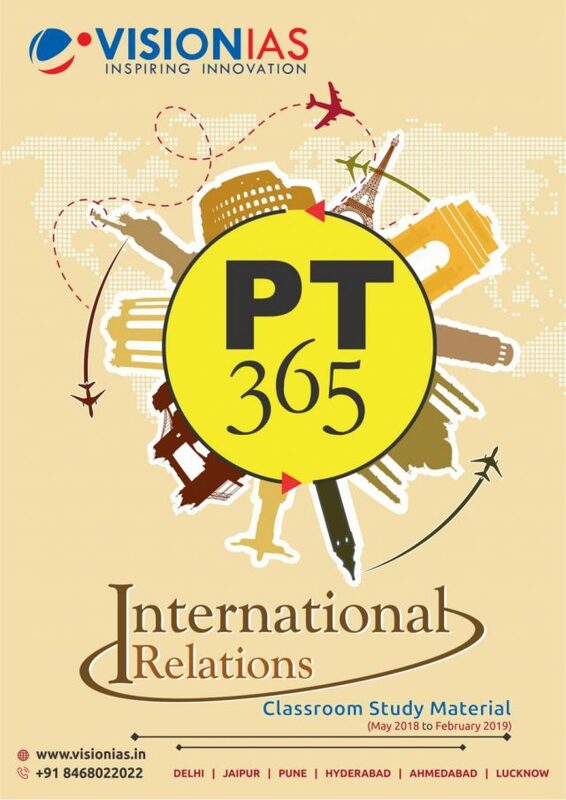 Vision IAS has published PT 365 International Relation 2019 Class Room Study Material pdf for UPCS CS (P) 2019. This magazine cover important facts wrt Prelims Exam, from May 2018 to February 2019. And also, is very useful for candidate who are preparing for Civil Service Examination 2019 and state PCS. Kindly, upload the hindi version.